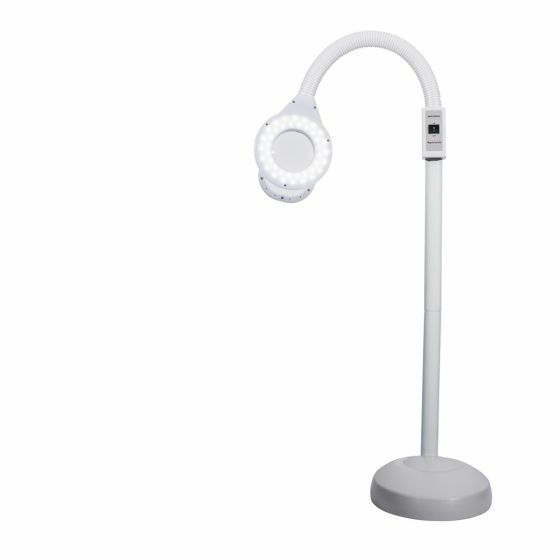 Improve the quality and efficiency of your work with our magnifying LED Lamp. The ultra-bright LED light bulbs help improve eyelash isolation while remaining soft enough to avoid eye fatigue. Perfect for lash technicians, and aestheticians for catching any unwanted blonde or fine hairs. The lamp is 10Watts LED, which is the equivalent to 40W for a regular lightbulb. The lighting is blueish, perfect to clearly see fine, blond, red, white hair.